The Fiber Lounge Chair with steel frame was designed by the design studio Iskos-Berlin and is characterised by its inviting seat shell with soft curves. A wide seat as well as the slightly curved backrest offer a high level of comfort and invite you to linger. The seat shell is made of wood and plastic, while the frame is made of powder-coated steel. Individually for itself or integrated into an already existing seating corner, the Lounge Chair brings cosiness into every room and offers a pleasant seating opportunity. The Fiber Lounge Chair is also ideal for use in public areas such as hotels or cafés. The Lounge Chair is available in various colours and with fabric or leather covers on request. A variant with a wooden frame is also available. 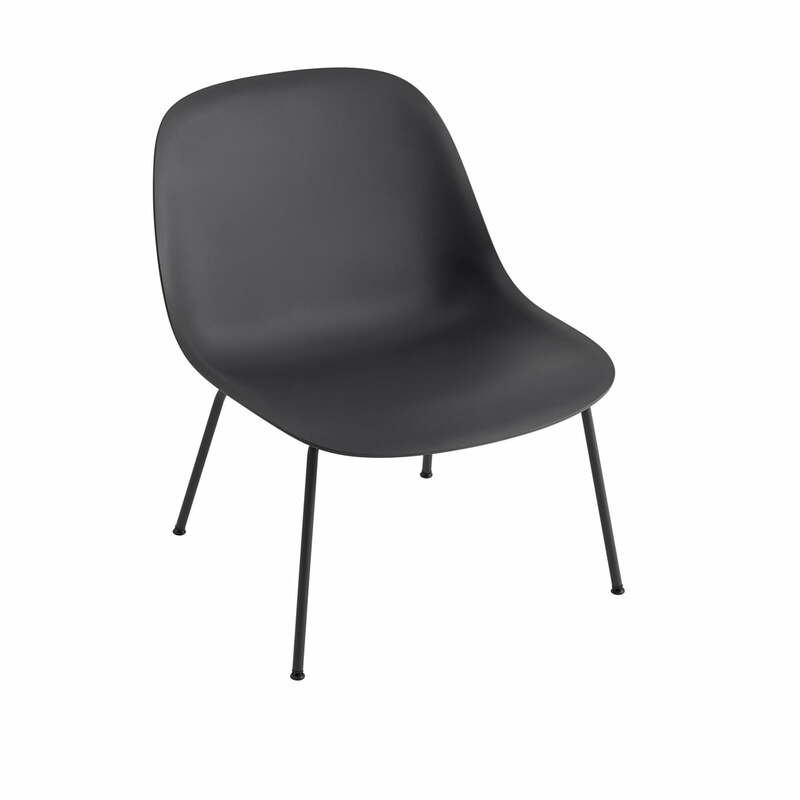 Fiber Lounge Chair Tube Base in black by Muuto in single view. The Fiber Lounge Chair with steel frame was designed by the design studio Iskos-Berlin and is characterised by its inviting seat shell with soft curves. The seat shell consists of a wood and plastic composition. Fiber Lounge Chair Tube Base in black / ochre by Muuto in single view. The Fiber Lounge Chair is perfect for the living room ambience, but can also be used in hotels or cafés. 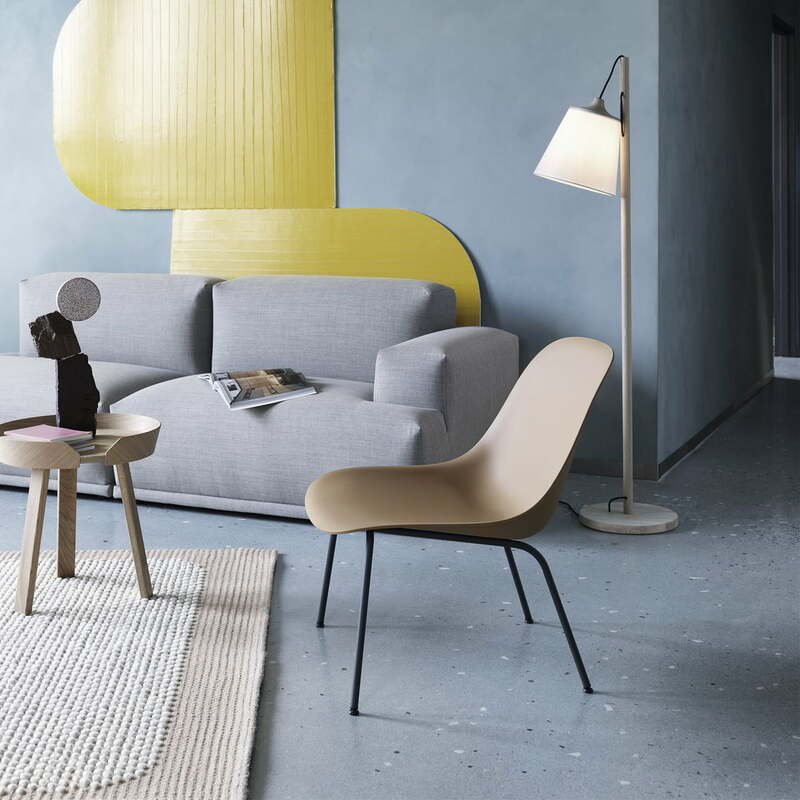 Fiber Lounge Chair Tube Base, black / ochre by Muuto in the ambience view. The Fiber Lounge Chair can be arranged individually or in groups to create a cosy sitting area. 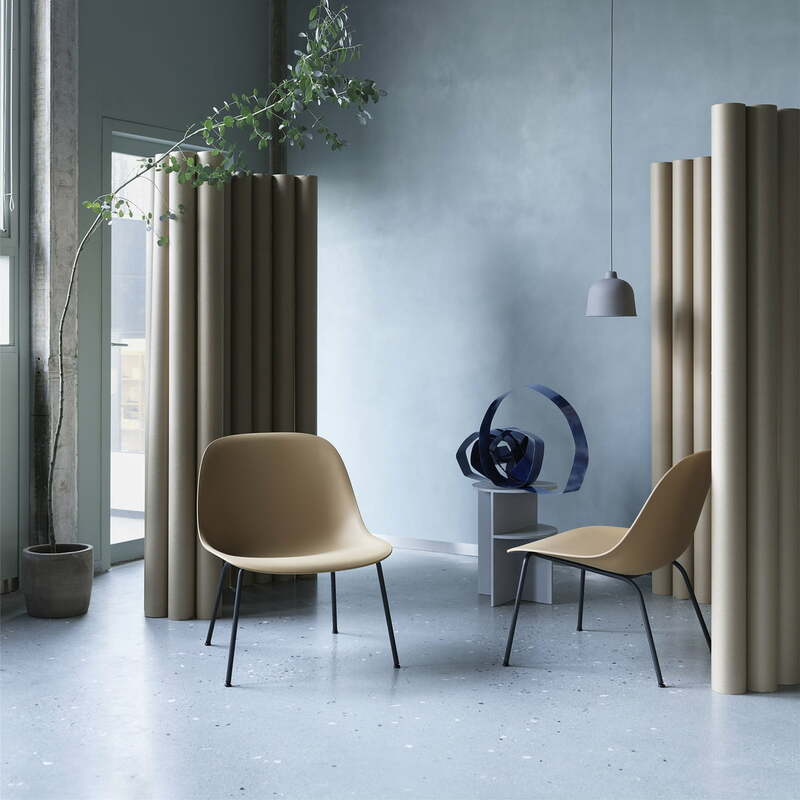 Fiber Lounge Chair Tube from Muuto in the ambience view. Individually for itself or integrated into an already existing seating corner, the Lounge Chair brings cosiness into every room and offers a pleasant seating opportunity. 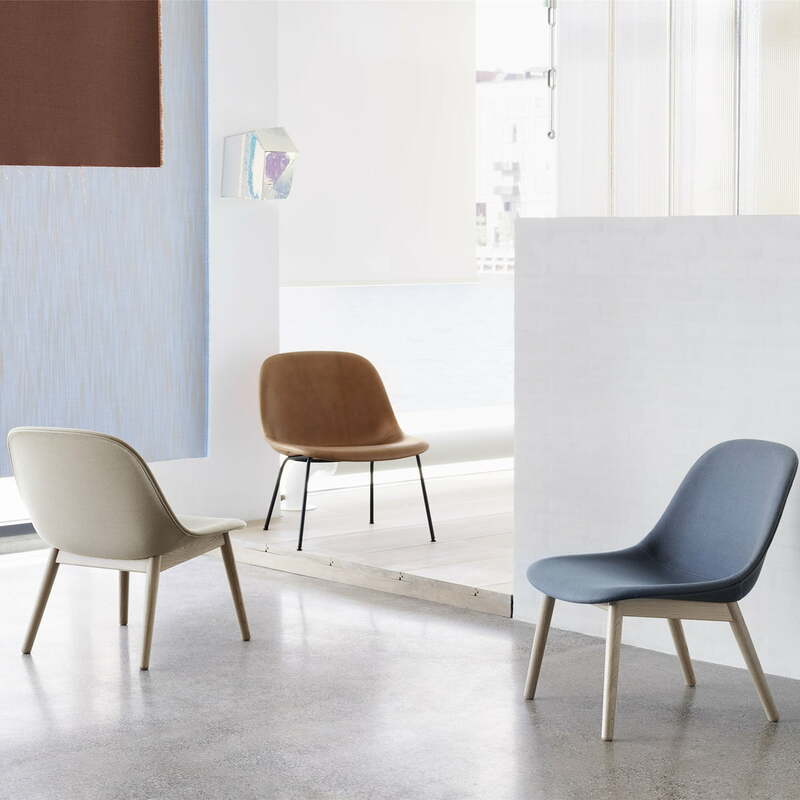 Fiber Lounge Chair from Muuto in the ambience view. The Fiber Lounge Chair is available with and without fabric or leather upholstery, as well as with a wooden or steel frame.